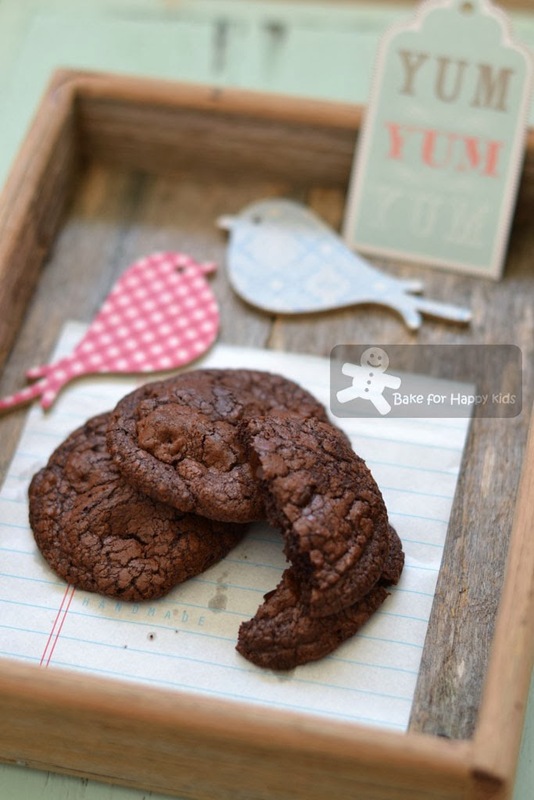 I know that my son loves these Bourke Street Bakery chocolate sour cherry cookies. 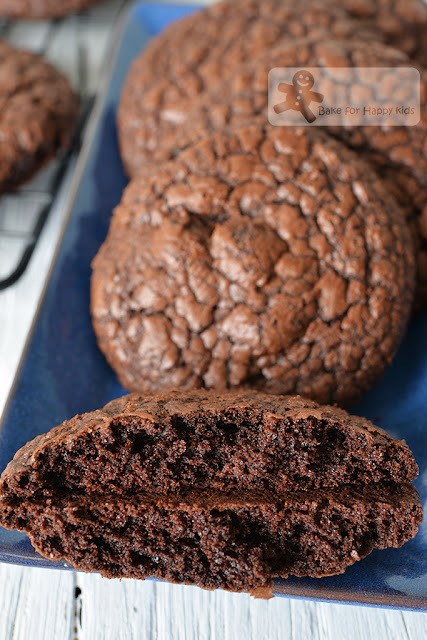 These super-rich chocolate cookies are crispy outside and fudgy inside. 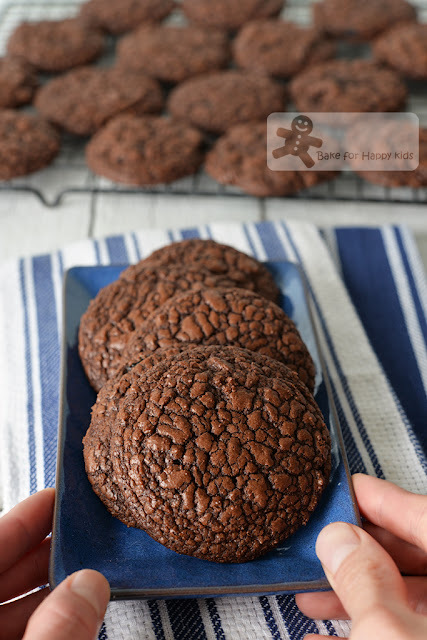 The sweet and slightly tangy dried cherry addition balance out the richness of these fudgy cookies, making them extra nice and chewy. 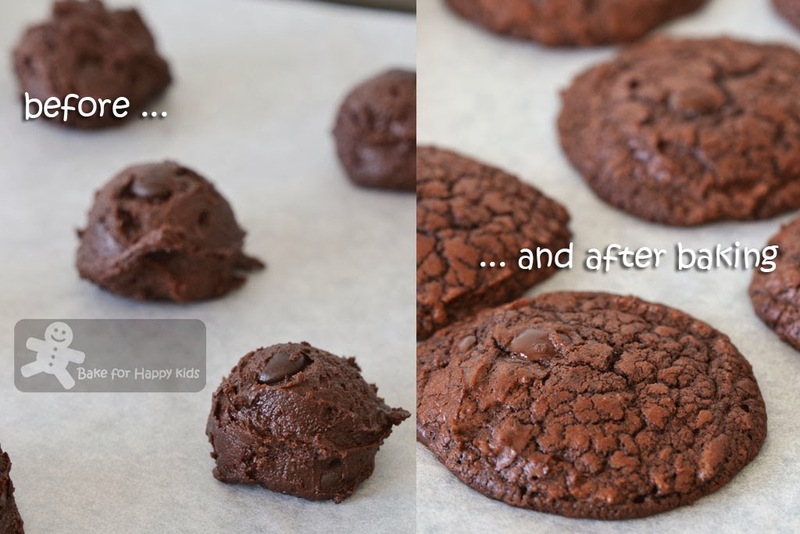 It is an easy and straightforward cookie recipe. That's it! The cookie batter is ready! 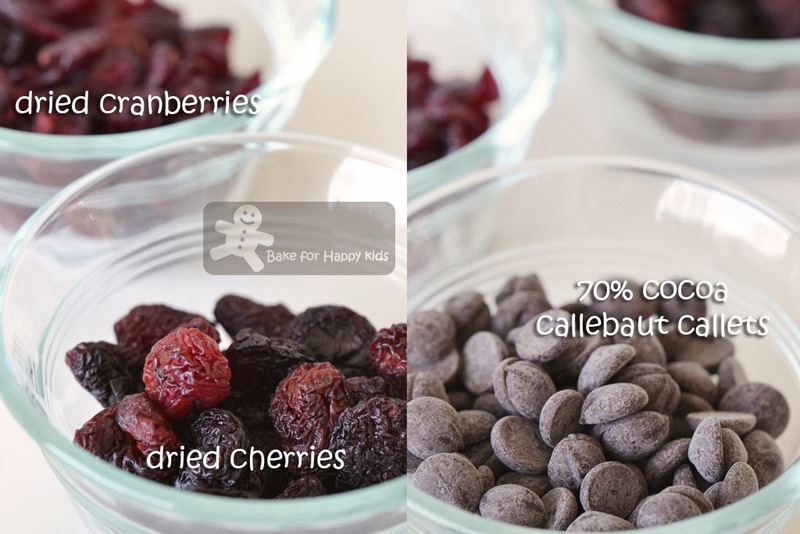 Instead of cherry chocolate cookies, I'm baking two more varieties: cranberry and extra chocolatey ones. Look at this nice chewy and fudgy texture! Warning: The following photos may be disturbing to some chocoholics! Speechless? Glad that we don't have to live in Sydney to enjoy these cookies! Update on 7 June 2017: We love these cookies so much that I have recently baked them again! They are all so crackled on their tops! 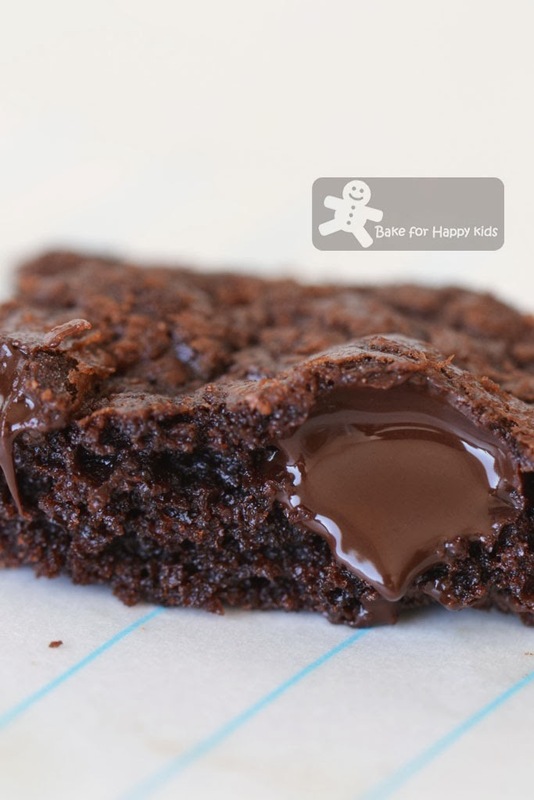 It tastes a little like brownies too with their soft chewy fudgy inside, crispy rims and yummy crackle top. 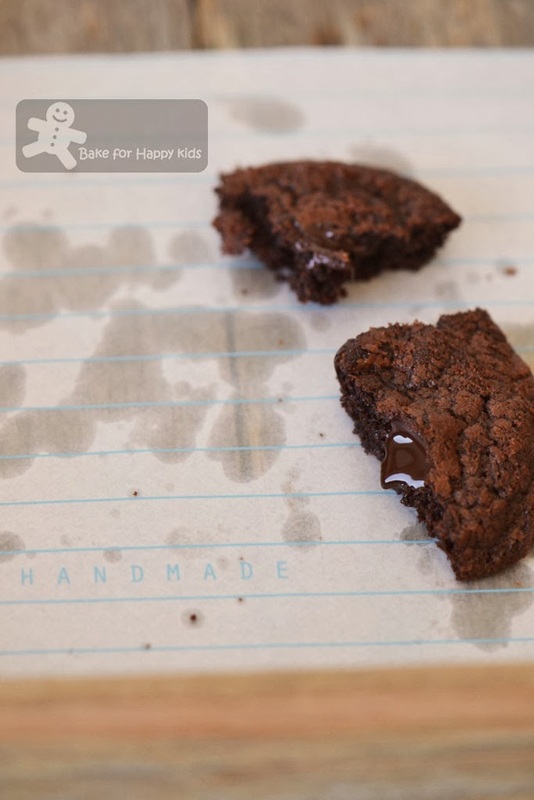 Here's a video showing how I baked these cookies. Note: As mentioned in the book, this can be replaced with any dried fruits or nuts. For my 2015 bake, I added 1/3 cup roughly chopped dried sour cherries into 1/3 of the batter, 1/3 cup of dried cranberries into another 1/3 of the batter and 1/2 cup of dark Callebaut chocolate callets with 70% cocoa into the last 1/3 of the batter. For my 2017 bake, I added dried cherries only to all of the cookie batter. Preheat the oven to 165°C or 150°C fan forced. Line baking trays with baking paper. Set aside. Place chocolate in a large heat proof bowl and place the bowl over a saucepan of simmering water, making sure the base of the bowl does not touch the water. Allow the water in the saucepan to boil for 2 mins, then turn off the heat and stir the chocolate while it slowly melts. Alternatively, place chocolate in a microwave-safe bowl and heat chocolate in a microwave with short pulses of low power with constant stirring in between microwaving until chocolate is completely melted. Set aside to cool slightly, about 5 mins. creamy. Add eggs, bit by bit making sure that the eggs are well incorporated after each addition. 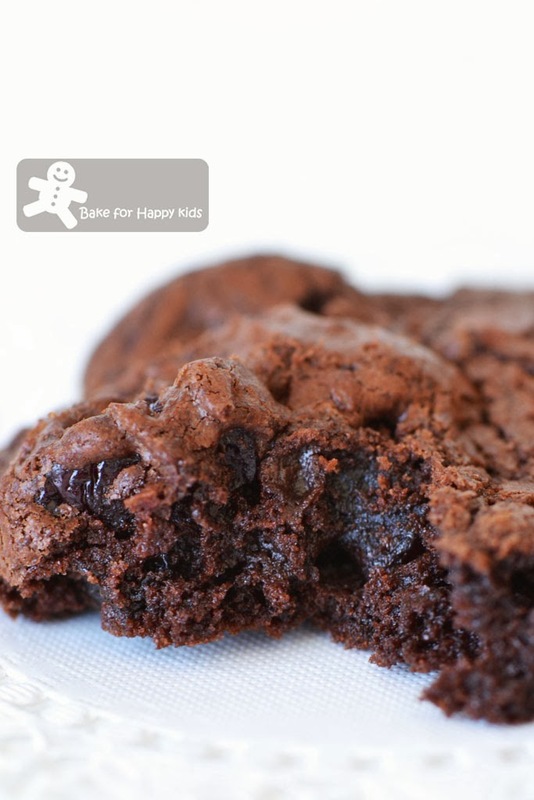 Sift flour, cocoa powder, baking powder and salt into the butter mixture and mix well to incorporate. 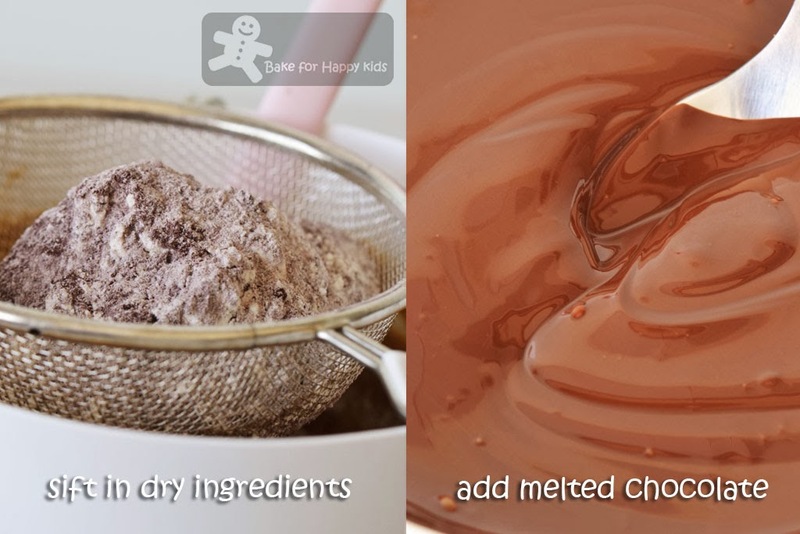 Add the melted chocolate and mix until well combined. Use a spoon to fold through the dried sour cherries. 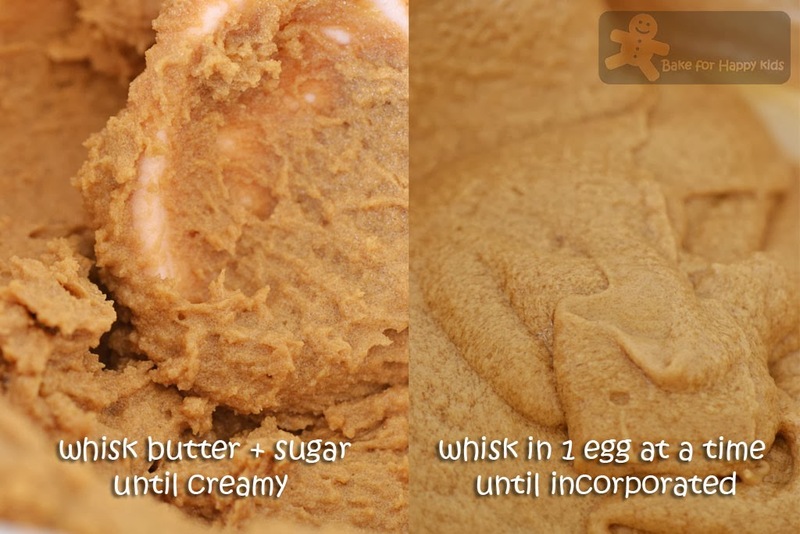 Depending on your room temperature, cookie dough can become quite sticky. 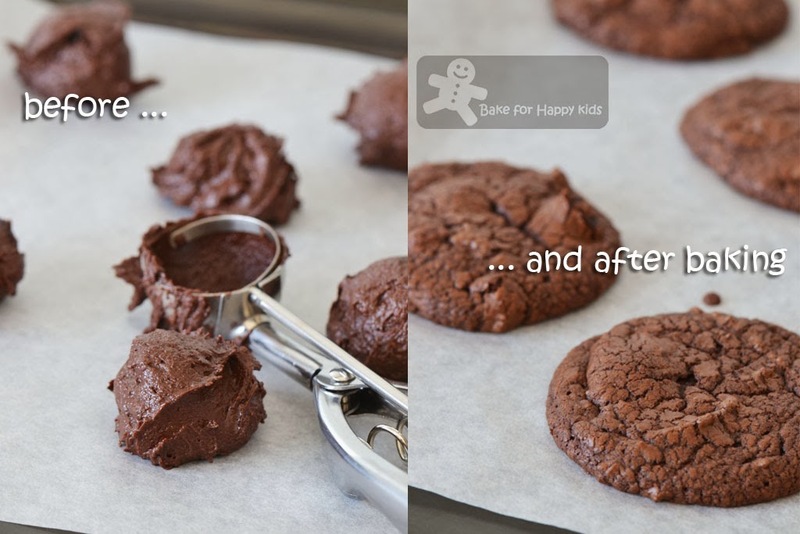 If you are baking in a warm area and you will need to refrigerate the dough for about 15 mins before shaping the cookies. Arrange 1 large tablespoonful of cookie dough for medium cookies or 3 tablespoonful of cookie dough for large cookies in the shape of large balls on the prepared baking tray, allowing room for them to spread. Note: After this step, the original recipe require refrigeration of the shaped cookie dough with the baking trays for a further 30 mins after shaping but I didn't have to do that because it was a cold day when I baked these cookies. Bake for 15-20 mins (15 mins for medium cookies and 20 mins for large cookies), or until risen and quite crackled on top. 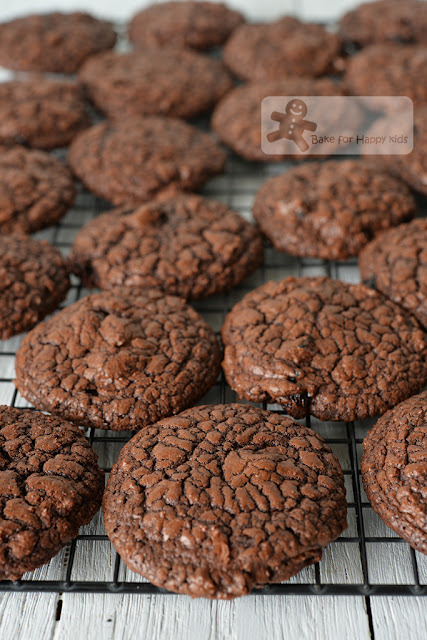 Allow cookies to cool slightly on the trays for about 10 mins. Transfer cookies onto a wire rack to cool completely. Enjoy or store in an airtight container at room temperature for up to 3 days. Sour cherries? I've never tasted that, wish I could try.. Your cookies, as usual, look very mouth-watering, I can eat all! Come on, just 12 cookies, no problem! And your last picture, gawd, you are right, speechless, I can't work today already thinking of your cookies !! Zoe, the sight of the chocolate oozing out if the cookie had me swooning hah..hah... I used to be able to get sour cherries from a shop nearby but they don''t have that anymore. Maybe not so laku due to the price. Feasting with my eyes on your extra chocolate-y cookies. Especially the one with the melted chocolate. Chocolate and cherries.. Oh I want these! Wow! This is really good Zoe! I want. The melty chocolate coming out seems like nothing you'd get in a bakery. Sometimes that's the benefit of homebaked goodies. Z, I MUST have these!!! !